Epiphany. January 6. The 12th day of Christmas. The day when all the decorations come down. I hope the stores are reading this blog. Although, I heard someone say the Easter decorations are already going up. Surely not! For my Christmas tree this year I used a Wollemi pine and it has been just right. Not too big, lots of cascading branches and a good green colour. Much as I love decorations and Christmas trees, mine is denuded and back outside now. I couldn’t wait for any Epiphany. The tree has looked lovely since Christmas Eve and has had plenty of admirers, but I think it needed to go back outdoors for a good watering and a bit more sunlight. I’ve done just about every sort of Christmas tree you can name. We had a lovely dwarf pine for a couple of years (until Jim planted it a paddock and forgot to water it). We’ve done Pinus radiata (again clipped and potted) several times and they’ve all come to a sticky end. 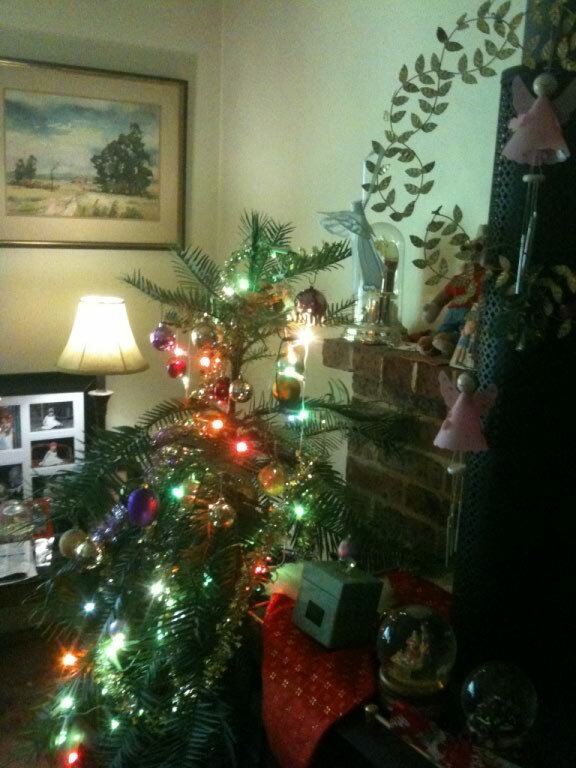 One of the longest lasting of all our living trees was our family Christmas tree, a Norfolk Island pine in a pot. It lasted for many, many years. Eventually it just became too big and too heavy to move indoors. The NFI pine is a good choice for longevity but, if you are looking for a living Christmas tree for 2013, buy a Wollemi pine. Pot it up and you’ll be amazed at just how good it looks. Don’t plant it in the paddock, do keep it in a pot and treasure it! Look for one at your nursery or, for on-line shoppers, Garden Express has some available in various sizes in autumn 2013. Go the live trees! We have been using a Prumnopitys ladei (Mt Spurgeon Plum Pine) for many years. It doesn’t mind being indoors, copes with a bit of dry when you go away for a week or two at Christmas and is also very happy in its pot outdoors in sun or shade. Its yew-like leaves are lovely and the lime-green new growth lights up the tree.